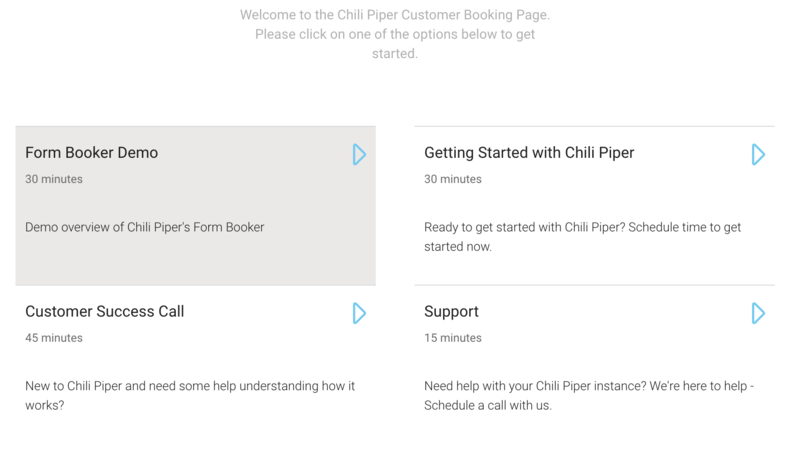 To configure your Multiple Meeting Types, jump into Chili Piper and create a new queue. Within the "Online Booking URL" settings, toggle on "Enable multiple meeting types on this link." 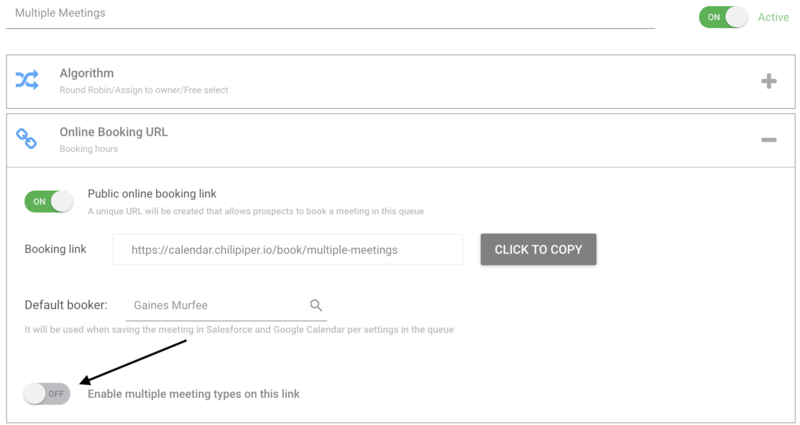 When your prospect first opens the link that has Multiple Meeting Types enabled, say hello to them with a personalized message! In the text box labeled "Welcome Message", you can customize the message your prospect or customer sees. 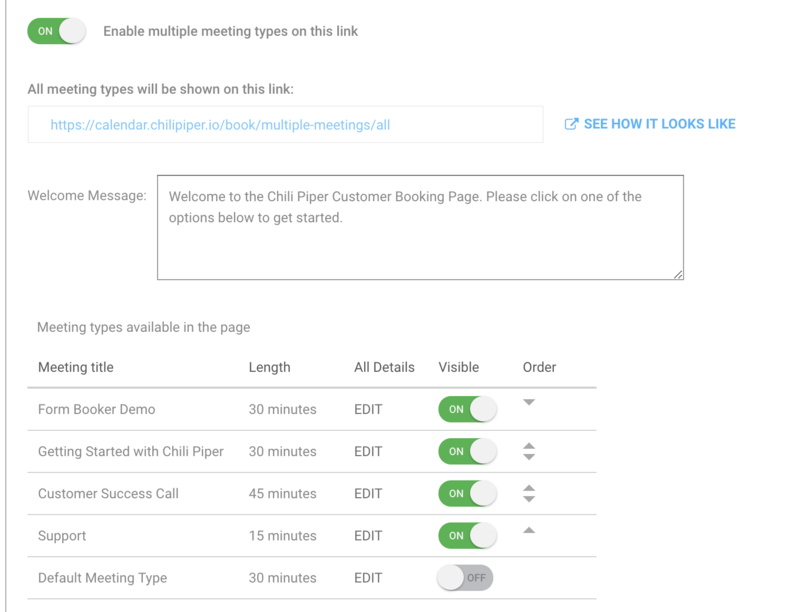 What Meeting Types are will my prospects/customers see? Under the "Visible" column at the bottom, you can easily toggle which Meeting Templates are available for your prospects to choose from and the order in which they are displayed. 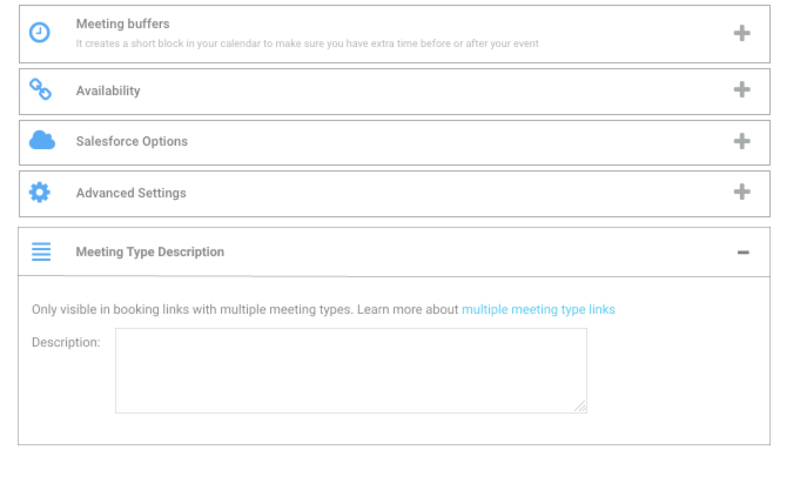 Customization can be done under the "Meeting Type Description" dropdown in each Meeting Template.